Photo Caption: Queen Ifrica International Reggae artiste, Queen Ifrica, has weighed in on the debate in some quarters, for Jamaicans living overseas to remain in the countries in which they are domiciled, and never return to the island to live. MONTEGO BAY, St. James; March 29, 2019: Tourism Minister, Hon Edmund Bartlett has indicated plans to fully develop the community of Somerton in St. James, where cultural icon Jimmy Cliff was born, as a major tourism attraction. With the development of civilization, people started sharing their contentment, sorrows, inventions, and accomplishments. Human instinct for curiosity and search led to the birth of tourism which removed differences between cultures, ethnic groups, religious groups, values and lifestyles, and languages.Mahatma Gandhi described travel as ‘The Language of Peace.’ Gandhiji realized the importance of attaining freedom through non –violence and traveled all over India to develop a sense of personal touch among the populace and succeeded in achieving freedom through peace. The scene of promoting cultural understanding, mutual respect and peace via travel and tourism, gives an incredible opportunity to strengthen cross-border relations. Tourism as a peace tool intends to reduce root causes that create situations where violence has been perceived as inevitable. Most of the countries are in the process of promoting peace and establishing brotherhood with neighboring countries with the view of exchanging ideas and values. Tourism truly acts as a vehicle for mutual understanding through cultural exchange and promotes peace dialogue at national and international levels. Effort by stakeholders is required to reduce the negative impacts of tourism and use tourism as a tool, media, passport, channel for peace to avoid another terror attack in the country in future and promote volun-tourism, wedding tourism, black tourism, and mourning tourism. Editor's Commentary: Caribnewsroom (PositiveTourism) recommends that the Ministry of Culture, Gender Affairs and Sports hold Town Hall sessions in the Ocho Rios Community to properly educate the community and share responses from Garveyites from across the world who would support the building of such a museum to honor our First National Hero and Saint, revered across the globe. The benefits to the community should be stressed and the persons who would be relocated should be reassured that they will be honored and properly compensated. Minister of Culture , Gender Affairs and Sports, Hon Olivia Grange says she and the Ministry are doing their best to have residents of 32 Marcus Garvey Way, in St Ann’s Bay, re-settled in an appropriate location soon. March 5, 2019 (Negril, Jamaica). Living Life as a Sacred Practice: Discover Yourself as a Source of Creation authored by Sharon Parris-Chambers is now available online at Balboapress.com, Amazon.com and Barnesandnoble.com. It is the long-awaited second publication since her 2011 book, excerpts of which has been shared with audiences on Social Media over the past year. From beginning to end the author seeks to establish an inner vision into spiritual development of the self as a Divine being. The book is beautifully laid out in clear typesetting, with each chapter prepared as a daily teaching complete on its own. The reader has only to turn to a chapter to find an introspective meditation, sacred practice and affirmation to be used as a daily spiritual cleansing and healing ritual. Sample topics such as: “Pacify your restless mind”, “Let the Real you Stand Up,” “I live my Dream,” “Stop Suffering,” and “Insource before you Outsource” can be found and savoured in the way one enjoys a feast. The key to the exercises is journaling, which requires mindfulness meditation. When this is done, it is more likely that something profound will be left with the seeker more than just merely reading passages within the book. When spoken-word artist Ras Takura started the Dis Poem Wordz & Agro Festival nine years ago, he hoped to put poetry on the front burner and ultimately fuse it with agriculture. Today, the event continues to grow beyond his initial vision, with entities like the University of Nebraska in the United States supporting the Port Antonio-based festival. Takura told The Gleaner that the festival made its overseas début in August, courtesy of the institution. “We partnered with the university in bringing a version of the festival to the Malcolm X birth site in Omaha, Nebraska, and it was successful,” he said. “We intend to expand this partnership and definitely look forward to having the university more involved in the festival come next year,” he continued. The university hosts an annual Malcolm X festival in which Takura will participate as a guest speaker in April. Another big deal for the festival will be the presence of international performers who will grace the stage at its home venue at the Neville Antonio Park on April 28. The event will unfold from 10:00 a.m. to 8:00 p.m.
KINGSTON, Jamaica, Tuesday, February 19, 2019: Texaco Jamaica has pledged its full backing of the Global Tourism Resilience and Crisis Management Centre (GTRCM) that was launched in January in Montego Bay. The announcement was made today (February 19) by CEO of GB Energy Texaco Jamaica, Mr. Mauricio Pulido at the press launch for Texaco Jamaica’s centennial celebrations at the Jamaica Pegasus Hotel, New Kingston. Congratulating Minister of Tourism, Hon. 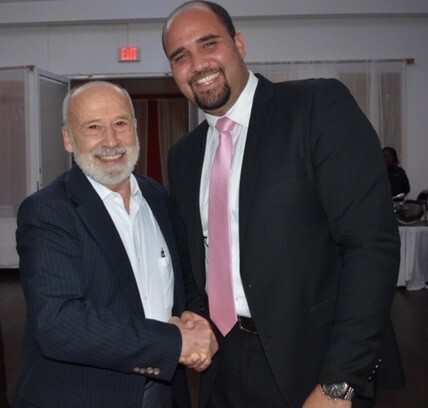 Edmund Bartlett, for his role in the development of the Centre, Mr. Pulido said Texaco is very committed to the growth of Jamaica and particularly the tourism sector because of its vast potential. “We are very proud to be a part of the resilience centre and you have our full support,” noted the GB Energy CEO. The GTRCM, said to be the first such facility in the world, will focus on research, advocacy, training and policy to assist global tourism destinations with preparedness, management and recovery from disruptions and crises that affect tourism and threaten economies and livelihoods globally. 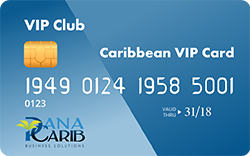 It has received the backing of United Nations World Tourism Organization (UNWTO), the World Bank, Inter-American Development Bank, Caribbean Hotel and Tourism Association, and the Caribbean Tourism Organization. Minister Bartlett, a Texaco Jamaica alumnus before entering Government in 1980, noted a new wave of investments in the hotel sector would bring 15,000 new rooms in the next five years, which in turn would drive the demand for more fuel, energy, jobs and quality service to be provided by our people. 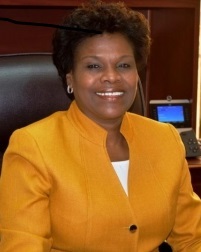 NEGRIL, Westmoreland; February 8, 2019: Tourism Minister, Hon Edmund Bartlett has appointed Permanent Secretary, in the Ministry of Tourism, Mrs. Jennifer Griffith to lead a team designated to reimage the tourist destination of Negril. Speaking at a meeting with key stakeholders in Negril yesterday, Minister Bartlett said, "Negril represents a critical part of Jamaica's tourism asset as this area has for decades remained a major selling point for the island with its white sands and sea. What we are seeing is that Negril became a tourist hotspot but did so without the adequate infrastructure to support the rapid developments in the sector but we are going to rectify that." Minister Bartlett and several senior tourism officials and agency heads convened a meeting with tourism stakeholders in Negril to discuss their concerns about the sector with a view to providing solutions. Among the areas highlighted were adequate lighting along major corridors, wheelchair access to beaches and a new vision for the development of Negril. Kingston, Jamaica (Thursday, December 27, 2018). 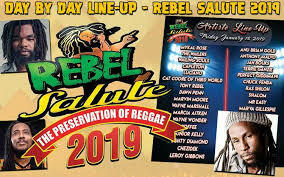 Rebel Salute marked the launch of its January 18-19, 2019 showcase celebrating 26 years on December 27, 2018 at the Jamaica Pegasus hotel in Kingston. The 2019 theme is the Preservation of Reggae. The Organic Heart Group of Companies represented by Patrick Barrett aka Tony Rebel, Queen Ifrica and their team, pulled off a brilliant staging of the 2019 rollout of Rebel Salute. Comedian Christopher ‘Johnny’ Daley, host, kept the audience laughing and the programme flowing. The opening songs set the tone for the evening: A Reggae mantra by Bushman, followed by Imeru Tafari (Queen Ifrica’s son) with “Chanting Nyabinghi” and Davianah (Tony Rebel’s daughter) singing a cover and an original called “Wanna Be”. The performance by Notis Heavyweight Rockazz, backing Nyabinghi drummers, sealed the first half of the evening which began at 7:00 pm with a thunderous drumming session, which caught the attention of the patrons and media who crowded to take pictures. The popular Herb Curb, a lounge dedicated solely to ganja, will return; there will be a conference preceding the Saturday afternoon Herb Curb Symposium facilitated by Itopia Life and Epican Jamaica. MONTEGO BAY, St. James; January 7, 2019: Tourism Minister Hon. Edmund Bartlett has reiterated Jamaica’s commitment to creating a new way forward and architecture as it relates to visitor safety and security. This follows a meeting with international tourism security expert, Dr. Peter Tarlow, Minister of National Security, Hon Dr. Horace Chang and senior members of the Ministry of Tourism and its agencies. MONTEGO BAY, Jamaica, Jan. 3, 2019 /PRNewswire/ -- As of February 1, 2019, Sandals Resorts International (SRI) will eliminate all Styrofoam from 19 Sandals and Beaches Resorts across seven major Caribbean islands – from Jamaica and the Bahamas to Grenada and Turks & Caicos – in a continued effort to protect the environment. "As we enter the New Year, it's incredibly important to our Sandals family that environmental sustainability remains a key priority," said Adam Stewart, Deputy Chairman of Sandals Resorts International. "After eliminating plastic straws, stirrers, laundry bags and gift shop bags last year, we're choosing to eliminate Styrofoam from our resorts. We're proud that many of the islands in which we operate are also making this shift to ensure that future generations can enjoy the beauty of the Caribbean." The elimination of Styrofoam is particularly important in the Caribbean region, where marine wildlife across the more than 700 islands and coastlines is abundant. According to Environment America's Wildlife Over Waste campaign, scientists have found plastic fragments including Styrofoam in 86 percent of all sea turtle species, 44 percent of all seabird species and 43 percent of all marine mammal species. 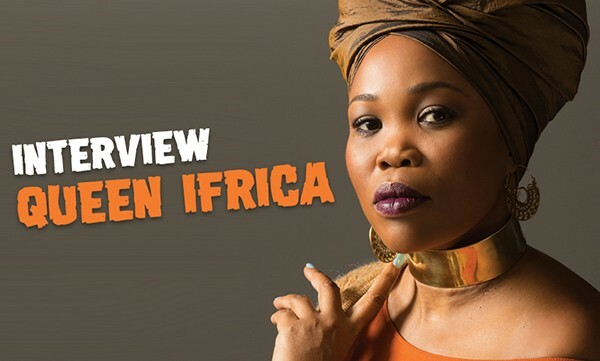 International Reggae artiste, Queen Ifrica, has weighed in on the debate in some quarters, for Jamaicans living overseas to remain in the countries in which they are domiciled, and never return to the island to live. According to the Rastafarian artiste, who is known for songs such as “Yad to the East”, “Montego Bay” and “Let’s get silly” the discussions, much of which have been taking place on social media platforms such as Facebook and YouTube, for the most part, have not been totally fair to Jamaica. “The debate is not very friendly especially on social media where everybody goes to these days. There is a lot of loud noise being made there and it is not necessarily coming from the residents who want to return. They are on the sidelines waiting for an answer as to why they are being told not to come back,” she said. 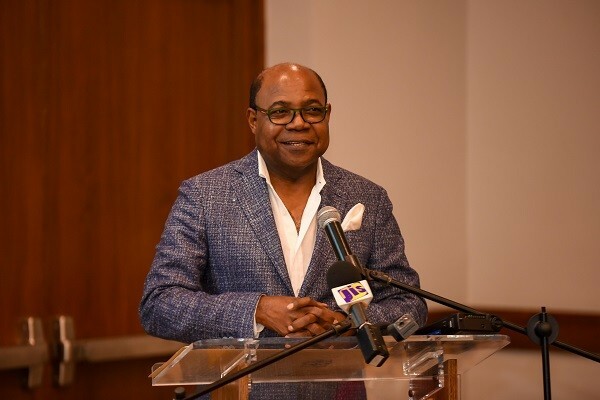 Jamaica’s Minister of Tourism, Edmund Bartlett, is upbeat about the upcoming Caribbean Health and Wellness Tourism Conference and Expo which is set for June 15-16, 2019 at the Rose Hall Great House in Montego Bay, Jamaica. 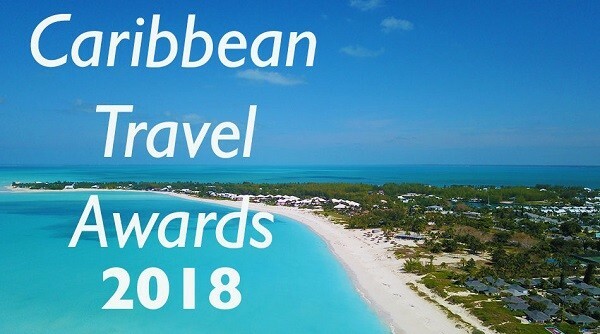 Minister Bartlett, who was World Tourism Minister of the Year in 2017, will be a keynote speaker at the event, which will also feature other speakers from across the Caribbean including former Caribbean Tourism Organisation (CTO) chairman, Vincent Vanderpool Wallace. “I am excited about that. I am looking forward to it because Jamaica is going to be very researched in terms of what the health and wellness industry offers now, and we are going to be very clear in terms of pointing to investment areas within it that we think our local people in particular can tap into,” Mr. Bartlett said. “The event is very, very important, because it is another statement of the thought leadership that Jamaica does provide for the world today in a number of areas. And when we bring the world community here, to cerebrate on key matters of importance to the industry, it positions Jamaica as centre for discussion and also for the creation of new ideas and innovation. And so it is very, very important indeed to us,” he added. Alexander Pike, General Manager, The R Hotel Kingston has pledged support for community tourism in his presentation as guest speaker at the International Community Tourism Conference Welcome Reception Tuesday, November 13, 2018 at the Spanish Court Hotel, Kingston. Spanish Court was one of the Conference Sponsors. Mandeville, Jamaica (December 19, 2018). Manchester Peace Coalition (MPCo), a coalition of companies that coalesce around the values of peaceful co-existence in communities within the parish of Manchester, Jamaica, has emerged as an important lynchpin in the peace movement in Jamaica today. MPCo is chaired by Dr Clifton Reid. It is no surprise therefore, that MPCo was amongst delegates in attendance from across the island at the recently held International Institute for Peace Through Tourism (IIPT) International Community Tourism Conference themed: Building Communities as Businesses staged at the Mona Visitor’s Lodge, UWI, Mona, Jamaica, November 12-15, 2018. The four-day event commemorated the ‘International Year of Community Tourism & Peace,’ in collaboration with Countrystyle Villages as Businesses, representing 40 years of Community Tourism. During the International Community Tourism Conference Dr Louis D’Amore, Founder & President of IIPT was very impressed with the presentation and work of MPCo and envisioned it as a model for the world through the IIPT. 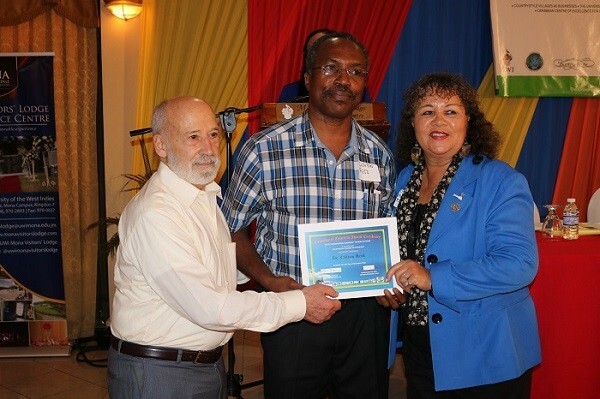 Dr D’Amore said “MPCo should spread its peace movement across the island.” Over the years, IIPT has continued to dedicate peace parks as a legacy at international conferences. Among the programs initiated this year, MPCo commissioned Dr Herbert Gayle, a well-known social anthropologist, to do a research assessment of at-risk communities in the parish. The results will help the Manchester Municipal Corporation in their strategic planning and intervention strategies for the parish. The study was funded by Canada Fund for Local Initiatives. 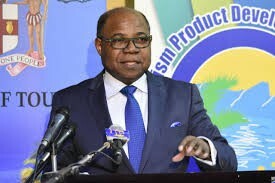 KINGSTON, Jamaica; December 18, 2018: Minister of Tourism, Hon Edmund Bartlett is reiterating the country's commitment to ensuring a safe, secure and seamless destination to all visitors who come to the country. In that context, Minister Bartlett says, “A full scale review is being done of all the protocols and ethical arrangements within the industry in keeping with the changes that are taking place in the demographics as well as the new markets that are emerging. Jamaica must stand at the cusp of these changes and must be leaders in ensuring that tourism safety and security is enhanced at all times. As part of efforts to ramp up its destination assurance programme, the Ministry through the Tourism Product Development Company, has started an island wide security audit of all hotels and attractions. Joining this audit is highly regarded international expert, Dr. Peter Tarlow who will provide technical support. The report from this review is to be ready by the first quarter of 2019. Caribbean Destination of the Year: The Bahamas While several destinations have particularly strong growth in 2018, none has been more impressive — or more broadly impactful — than The Bahamas. That’s because while the destination has seen surging airlift growth (and a powerful increase in arrivals thanks to the full-fledged debut of the Baha Mar megaresort), this year has seen something unique for the destination: universal growth. 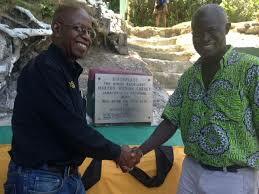 That means growth that has been felt beyond the traditional pole of Nassau and New Providence. Indeed, islands across the Out Islands (and, crucially, Grand Bahama) are seeing strong growth — a clear sign that The Bahamas’ tourism growth is being realized across 700 islands and cays. And that’s a very powerful thing. 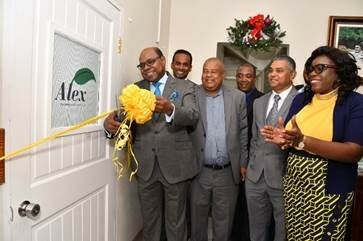 KINGSTON, Jamaica; December 14, 2018: The Tourism Agri-Linkages Exchange (ALEX) pilot project has assisted 400 local farmers with the marketing of approximately 360,000 kg of agricultural produce valued at over $39 million. ALEX, which is a joint initiative of the Ministry of Tourism and the Rural Agricultural Development Authority (RADA), is the first online platform of its kind in the country. It brings hoteliers in direct contact with the farmers and, in turn, reduce leakages and retain more of the economic benefits of tourism in Jamaica. The platform, which can be found at agrilinkages.com, allows farmers to plan to adequately address seasonality in crops; and provide information as it relates to geographic location of specific crops.